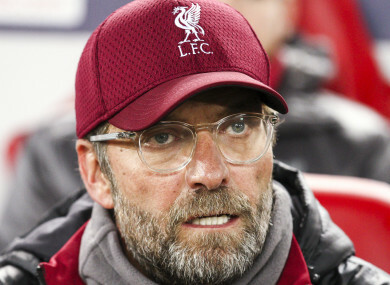 The Reds boss will look to bolster his ranks over the winter if the right circumstances come along, a year after swooping for £75m Virgil van Dijk. “I’m very happy with what I have got and what I have but we don’t know,” he told a news conference ahead of Newcastle United’s Boxing Day visit to Anfield. “That’s the only little bit where I keep the door open. If something happens we need to have a look There are a monstrous number of game coming and it’s really important that we can react. Klopp’s most recent example of January business certainly adds weight to the argument of strengthening mid-season. Virgil van Dijk has performed superbly since joining for £75 million from Southampton a year ago, marshalling a defence that has only been breached seven times in the Premier League this season. “He’s very, very, very influential. I’m happy,” said Klopp. “When I met him first I thought I knew about his personality, you feel something about that. I was pretty sure he would be like he is. “On the pitch after the Tottenham game last October [a 4-1 defeat at Wembley] – after that [and] before Virg came in, we started already defending much better. “Then Virg came in on top and that helped, of course. I have no problem with giving all the compliments and all the credit to the boys. Email “'I keep the door open' - Klopp ready to make Liverpool additions during January window”. Feedback on “'I keep the door open' - Klopp ready to make Liverpool additions during January window”.